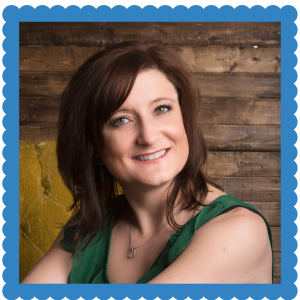 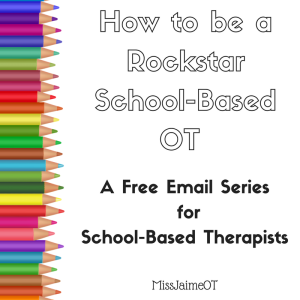 Free Email Courses are Available today For Subscribers! 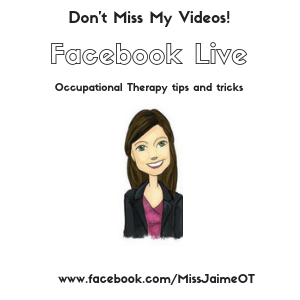 Tips and Tricks for becoming more efficient, working with a limited budget and therapy tools, and increasing your “bag of tricks”! 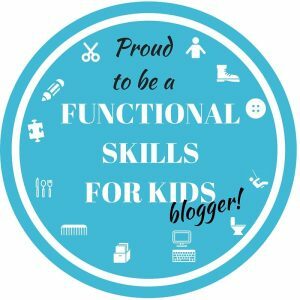 A 5 day crash course in Sensory Processing Disorder. 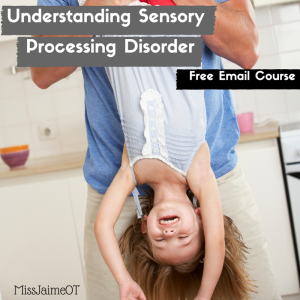 Learn about the 8 different sensory systems, the different subtypes of SPD, what is a sensory diet, and how to help a child with SPD. 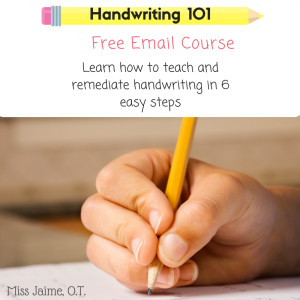 If you’d like to learn how to stop kids from reversing letters, or starting those letters from the bottom, this course is for you. 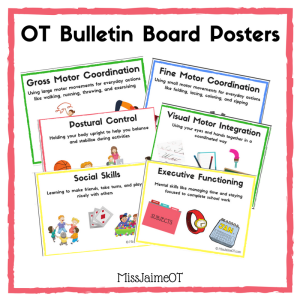 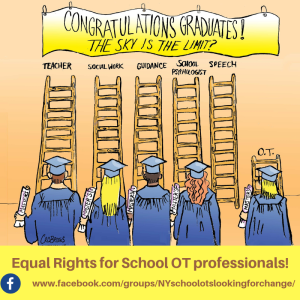 Plus, get a handwriting Freebie packet that you can use over and over! 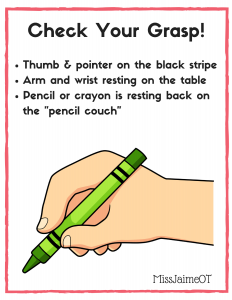 5 printable handouts for hand strengthening suggestions, how to hold a crayon, a reward checklist for writing neatly, a “start spot” cheat sheet, and a how to teach handwriting in groups by formation. 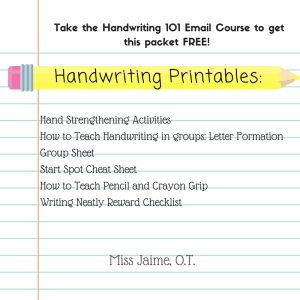 These are included FREE in the Handwriting 101 email course. 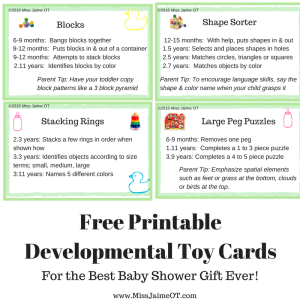 The perfect shower gift! 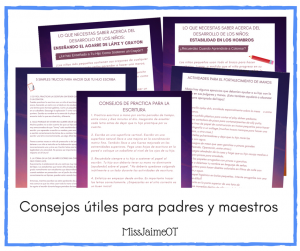 Printable Developmental Toy Cards that list goals and milestone age for each skill. 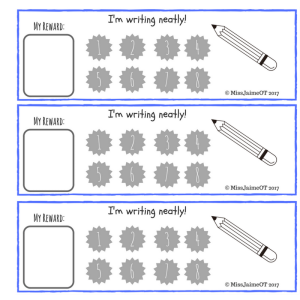 An easy to use reward chart to motivate those kiddies to write neatly! 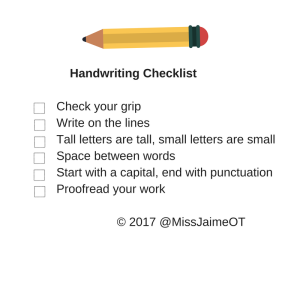 “Catch” them writing neatly 8 times, and they get to choose the reward!